A Single syndication network for both Branded Youtube Channel and Blog. Mean when you will publish a Post in your Blog IFTTT will Syndicate that Post to all accounts and when you will publish a video in Youtube Channel IFTTT will Syndicate that video to the same Accounts. 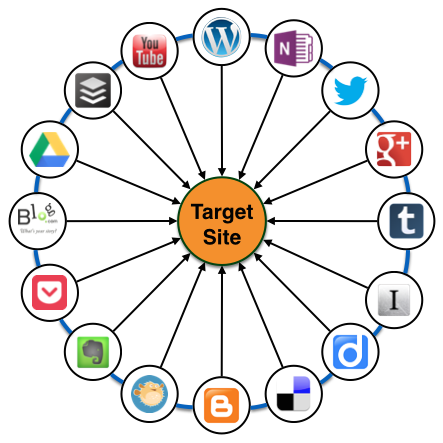 In this Package we will Create 10 social and Blog accounts and connect all with both website and Youtube, interlink all and create IFTTT Applets for $40. Create 20 accounts and connect all accounts with both website and Youtube , interlink all and create IFTTT Applets for $40. The Premium Package is very powerful to sky rocket your ranking. We will Create 4 Rings interlink all and Create IFTTT Applets. Each ring will contain 20 Accounts, 1 ring will be branded Tier 1 and 3 rings will be persona Tier 2. The Branded ring Tier 1 will connected to your 3 persona rings Tier 2 for $120. After Setting up this network for your blog and youtube channel, whenever you will publish a new blog post or Youtube video it's will syndicated to all Branded Accounts without login to anyone which means the social accounts will updated automatically with a latest post from your blog or youtube via IFTTT with a source links to your posts and videos as well as with a backlink to your Money site or youtube channel. Remember this service is only for new blog posts or new youtube videos, it's will rank only your new blog posts or videos. The posts or videos which were published before will not be ranked through this service. As Twitter, Pinterest, facebook are social media accounts. 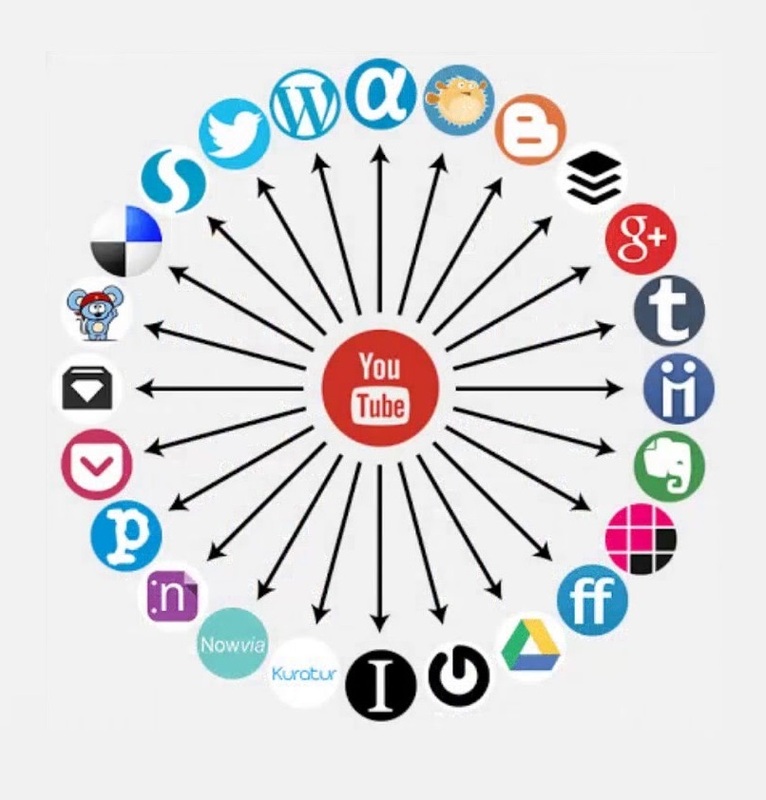 So after setting up this network for your Blog and youtube channel, whenever you will publish a blog post in your site or youtube video in your channel ifttt will share that post or video to Twitter, pinterest and facebook automatically without login to anyone with a link to your post or youtube video. A Single Branded Network for both website and Youtube. A Single syndication network for both Website and Branded Youtube. YT Live stream Supported Network. Detail report will be provided in an Excel Sheet. 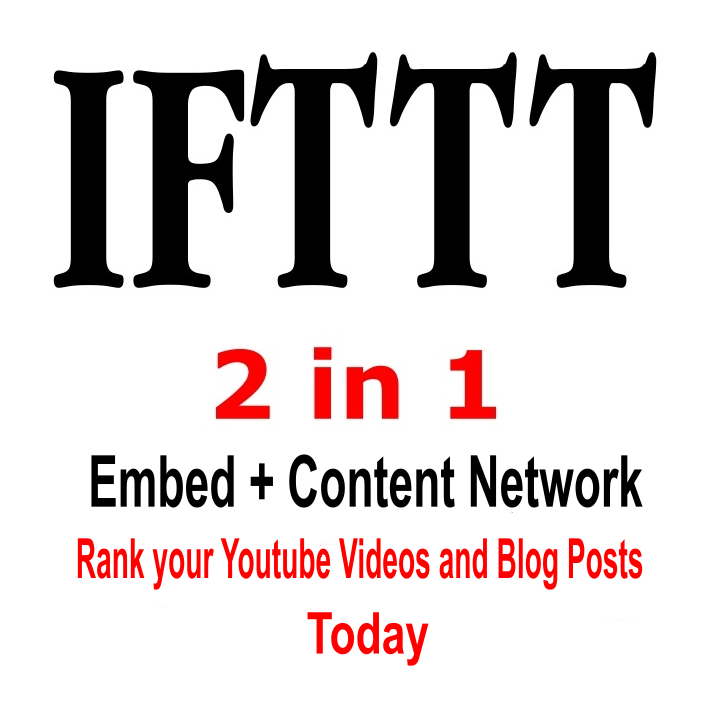 Create A Single IFTTT Network For Both Youtube And Blog is ranked 5 out of 5. Based on 8 user reviews.